Samantha and John met and began dating in college. After dating for close to 9 years, John proposed in a truly unique way. On a ziplining adventure, she was the last to go down the final trip. Waiting for her at the end was John with a ring, a large banner popping the question, and a photographer to capture it all! They debated between a local and destination wedding and decided on the latter because it was cost-effective. Not only that, but it really appealed to them because they desired something intimate, and it sounded like an easier way for their family and friends to spend more time together. They loved their beach ceremony, with the ocean as the backdrop. The entire trip turned out to be a vacation the entire family enjoyed. The couple said part of what made it so special was that it was a once-in-a-lifetime trip for both his family and hers, something that likely wouldn’t have happened otherwise, or would be hard to arrange again. 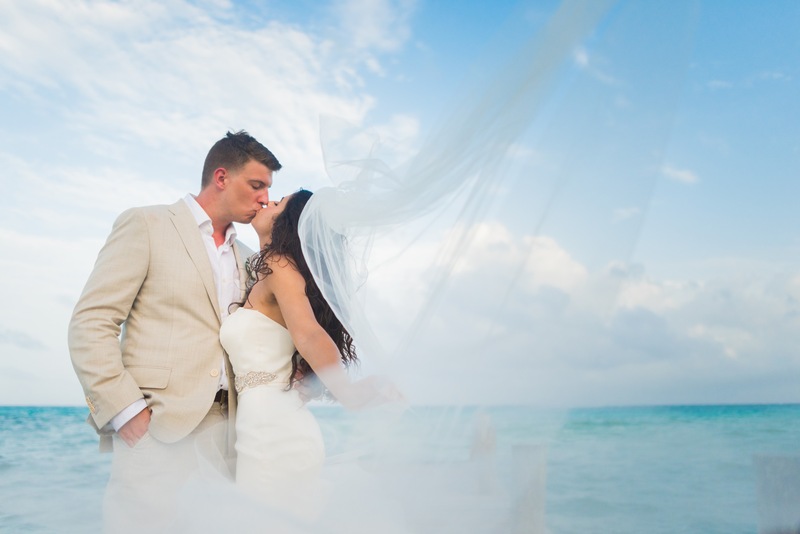 The couple agreed destination weddings are the way to go simply because of how stress-free the entire process was. Samantha said with a local wedding it felt like the weight is carried by so many individuals. Especially the bride, there are so many last-minute details you must worry about, and you lose much of that pressure by hosting a destination wedding. It was nice to just be in the moment, to not have to stress about all the little things because they had it all taken care of.